Digital gamers spent more than $8 billion in February, with Electronic Arts Inc. (NASDAQ: EA) reaping much of the spending on console games. The number was also boosted by a jump in spending on mobile games. 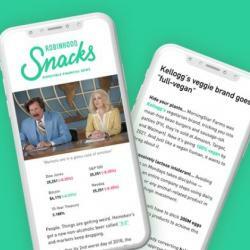 New data from Nielsen’s SuperData Research found that game spending growth across all gaming platforms — console, PC and mobile — was up 2 percent over the same month a year ago, led by 9-percent growth in mobile games, which made up for a 6-percent drop in PC game spending. One eye-catching factor in returning game spending to growth was the legendary opening month of EA’s new “Apex Legends” multiplayer shooter game, which had the best launch of any free game in history. 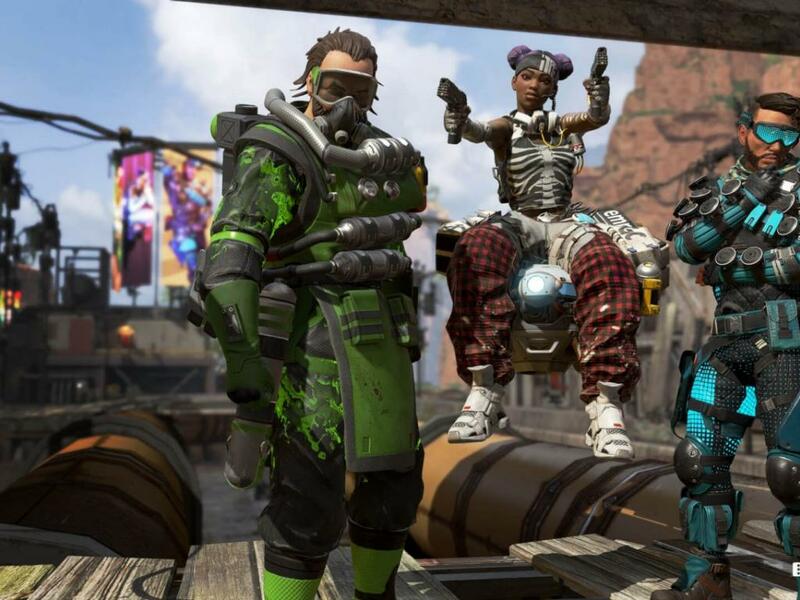 While “Apex Legends” is free to play, players can spend money to enhance their experience, though not to improve their chances of winning. They spend on cosmetic “skins” — cooler weapons or characters — which are a type of revenue for gaming companies known as microtransactions, and an increasingly important source of income for the companies. Starting this month, players have also been able to purchase a “Battle Pass,” allowing them additional cosmetic enhancements. 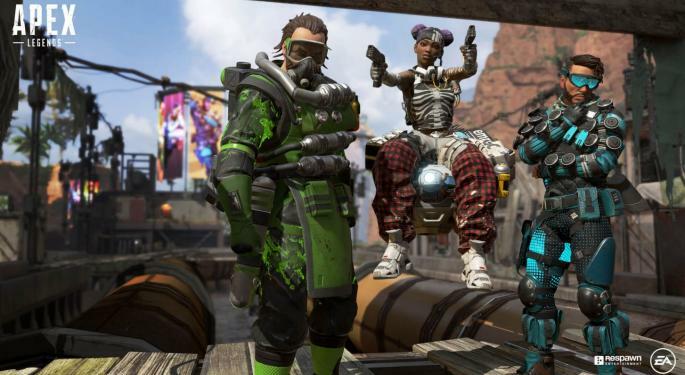 SuperData reported that “Apex Legends” generated about $92 million from in-game spending alone in February, giving it the best-ever launch month. Still, “Fortnite,” which is “Apex Legends”’ chief competitor among multiplayer shooter games known as “battle royale” games, came in above the EA game with the top-grossing rank for the month. “Fortnite” is published by Epic Games, which is privately held, with Chinese company Tencent Holding (OTC: TCEHY) holding a 40-percent stake. But with the “Fortnite” exception, EA posted three of the top four grossing console games in the month, according to the SuperData report. “FIFA 19,” part of EA’s long-successful FIFA soccer franchise, was the top grossing console game. “Fortnite” was second, followed by another new EA-published shooter game, “Anthem.” “Apex Legends" came in fourth. “Anthem” was the top-selling console title by units, reaping $100 million in digital revenue, according to SuperData. In-game spending, however, came in at just $3.5 million. Goldman Sachs analyst Michael Ng sent spelled out for investors how the in-game revenue model is meant to work in a weekend note. Goldman Sachs has increased its EPS estimates for fiscal 2020 and 2021 for EA because of an increase in revenue estimates for "Apex Legends" to about $590 million and $660 million, respectively. Goldman Sachs' 2019 EPS estimate is largely unchanged. Ng has a Neutral rating on EA and raised the price target from $93 to $101. Take Two Interactive Software Inc. (NASDAQ: TTWO)’s “NBA2K” continues to drive to the hoop. In-game spending for “NBA2K 19” is up an estimated 42 percent compared to “NBA2K 18,” representing “some of the highest growth seen from any mature” game franchise recently, SuperData said. Mobile gaming spending grew by 9 percent with “Honour of Kings” from Tencent coming in as the top-grossing title. That was followed by Candy Crush Saga, published by Activision Blizzard Inc. (NASDAQ: ATVI)’s King Mobile division. EA shares were up 0.14 percent at $102.48 at the time of publication Monday. "Apex Legends" photo courtesy of EA.